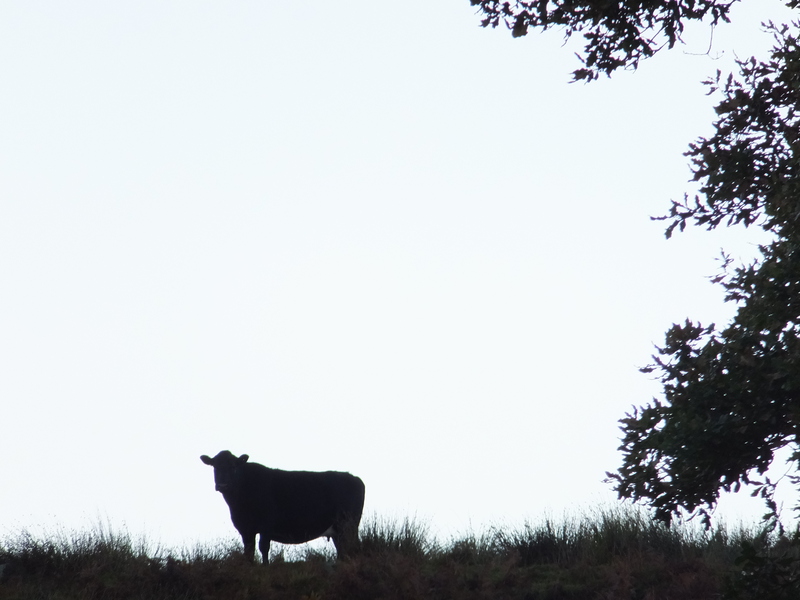 The North York Moors – forged by nature, shaped by generations. Come and explore our National Park – 554 square miles of secluded dales, magical moors, ancient woodland, historic sites and 26 miles of stunning coastline, all easily reached from York, Teesside and County Durham. Read about our work here, and then pay us a visit! This one won by a mile. But there was also 5. 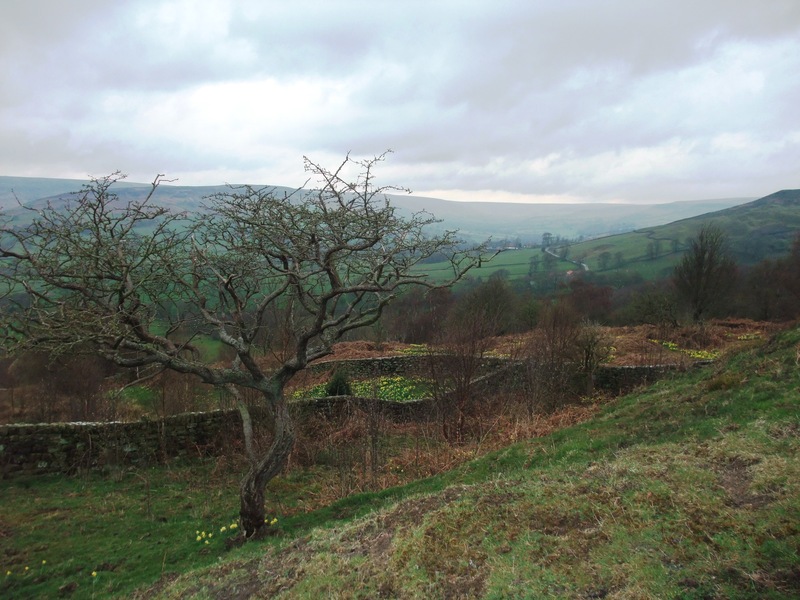 Warren Moor Mine: Part Two – the excavation and 6. Making Pictures and 7. Warren Moor Mine: Part One – the Lime Mortar task. The Land of Iron Landscape Partnership Scheme grabbed most of our top spots. These posts reflect the wealth of outreach activities delivered during 2018, as well as the skills of our summer interns. You might also have noticed that 2018 saw the name change – from ‘This Exploited Land of Iron’ to the shorter and friendlier ‘Land of Iron’. 2019 will see major consolidation works taking place on the main historic structures associated with the ironstone industry in this part of the world, as well as a significant roll out of new interpretation. Sign up to stay in touch with what’s coming up this year. 3. Why why why the Rye? Following 18 months of consultations, taster events, and project developments the Stage 2 application to the Heritage Lottery Fund (HLF) to support the Ryevitalise Landscape Partnership Scheme has at last been submitted. 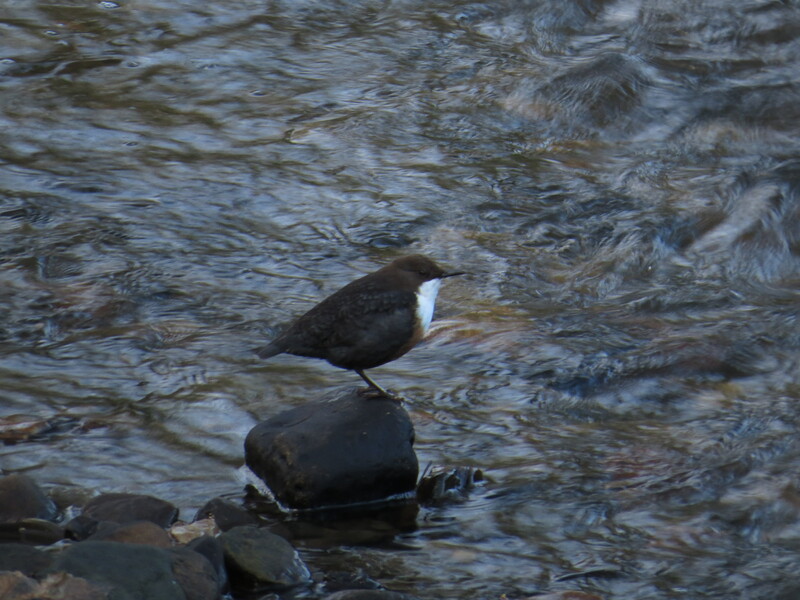 There are 19 individual projects included which focus on the river environment, water quality and engagement. The Landscape Conservation Action Plan which is the main bid document, is really the Partnership’s manifesto and it lays out why the upper and mid Rye catchment is such a special and valuable area for people, wildlife and their habitats, and why it needs support to secure its future. The application will be assessed by HLF during March 2019. We’ll let you know what happens. If we get a successful outcome recruitment of the delivery team is anticipated to start early summer. We’re still keen to hear from you if you have ideas and views about this particular catchment, and so we will continue to involve as many people as possible throughout the four years of delivery and beyond into a legacy phase. We’re now well into our new Historic England funded Monuments for the Future project which is looking to ensure a sustainable future for the conservation of monuments in the North York Moors. We’ll have regular posts on the historic environment during 2019 starting with a look at hillforts in the next couple of weeks. We’re already looking forward to spring and that includes the blooming of the surviving populations of native wild daffodils that can be seen in Farndale and other dales in the North York Moors. What you can do to help … always follow biosecurity guidelines and advice. Landscapes, vistas and panoramas can be impressive but sometimes it’s also worthwhile having a closer look at what’s nearby. Fungi is found on every environment on the planet and plays a vital part in many ecosystems. They don’t actually belong to either the plant or animal kingdoms, they have their own. 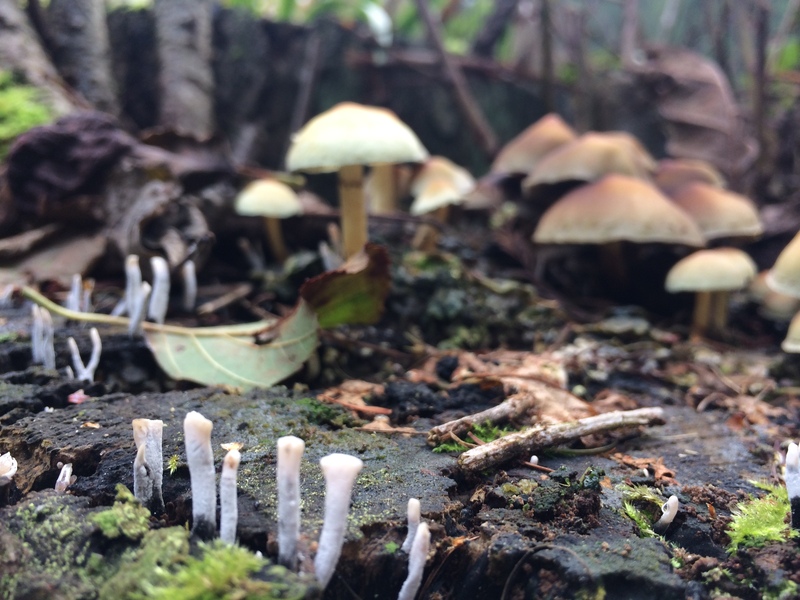 Fungi are key decomposers and so are crucial in terms of nutrient cycling. Because fungi don’t photosynthesise like plants (they don’t contain any chlorophyll) they instead rely on absorbing food from their environment to survive. This is why you will often see fungi growing on or around other plant material, living or dead. By decomposing organic plant material, particularly lignin and cellulose that make up the bodies of plants, the locked up carbon, nitrogen and minerals are released and used again by other plants and organisms. Fungi often form important symbiotic relationships with other organisms. These can be antagonistic (injurious to the host e.g Hymenoscyphus fraxineus), mutualistic (mutually beneficial) or commensal (apparently neither injurious nor beneficial). One of the most well-known mutualistic relationships is that with mycorrhizal fungi. It is estimated that over 90% of all plant species are part of a mycorrhizal relationship and are dependent on it to thrive. Mycorrhizae are found between plant roots and the soil, and help other plants collect moisture and nutrients (such as nitrate and phosphate). In return the mycorrhizae are able to use the carbohydrates and sugars that the plants produce. It has been suggested that a single oak tree can have up to 19km of associated mycelium – these are the thread-like hyphae (filaments) that extend outwards from the mycorrhizal fungi. For most fungi these hyphae are their main part. Even when these hyphae tangle together and are visible to the human eye we often don’t see them because they’re underground or within their food source e.g. a tree. Some fungi however produce fruiting bodies in order to release spores – these are the mushroom parts which appear when it’s warm and damp. The mushroom parts are short lived and die back within a season but fungi can live for years and years. The North York Moors hosts a great variety of fungi types and their mushrooms, from waxcaps, inkcaps and milkcaps to chanterelles, boletes and russulas. 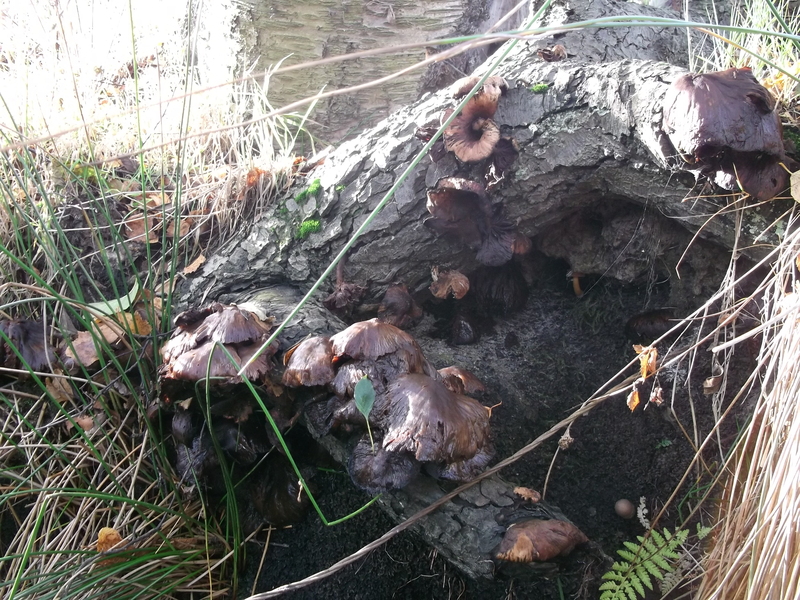 Because of the amount of plant material available woodlands, particularly ancient woodlands, are an excellent place to see mushrooms in the late summer/autumn and some varieties in the spring. To encourage fungi on your own land leave deadwood where it is (either standing or on the ground) instead of clearing it away. Managed grasslands are also a good habitat to find mushrooms. Waxcaps in particular can be found on grassland around historic houses and churchyards, and also on grazed pastures. The best grassland fungi sites typically have a short turf, plenty of moss, are well drained, poor in nutrients and usually unfertilised. Many waxcaps form mutualistic relationships with mosses, so to encourage fungi in your own garden don’t remove the moss. 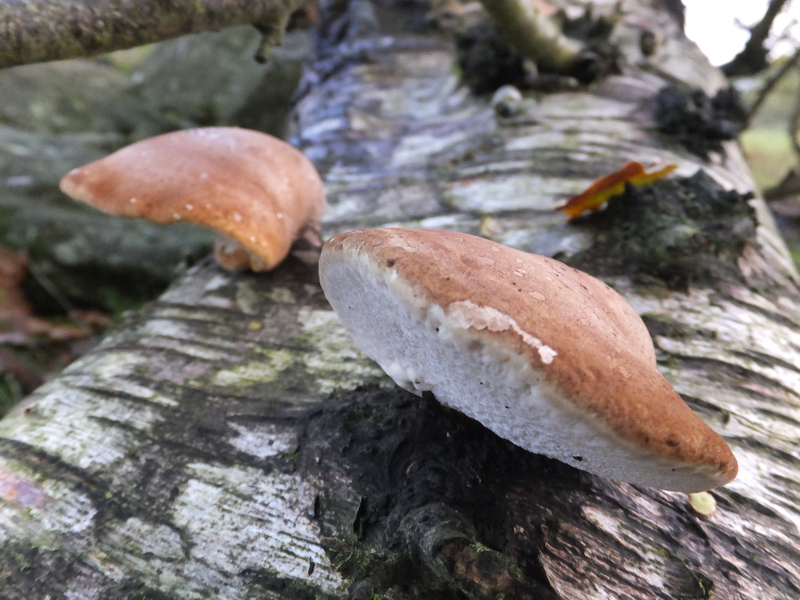 Over the centuries the hundreds of types of fungi in England have been given graphic common names like ‘Ashen Knight’, ‘Bitter Poisonpie’, ‘Dead Man’s Fingers’, ‘Dryad’s Saddle’, ‘Flaming Scalycap’, ‘Humpback Brittlegill’, ‘King Alfred’s Cakes’, ‘Mealy Bigfoot Webcap’, ‘Old Man of the Woods’, ‘Papillate Pinkgill’, ‘Plums and Custard’, ‘Powdercap Strangler’, ‘Scurfy Deceiver’, ‘Slippery Jack’, ‘Sordid Blewit’, ‘Witches Butter’ … I’ll stop there. 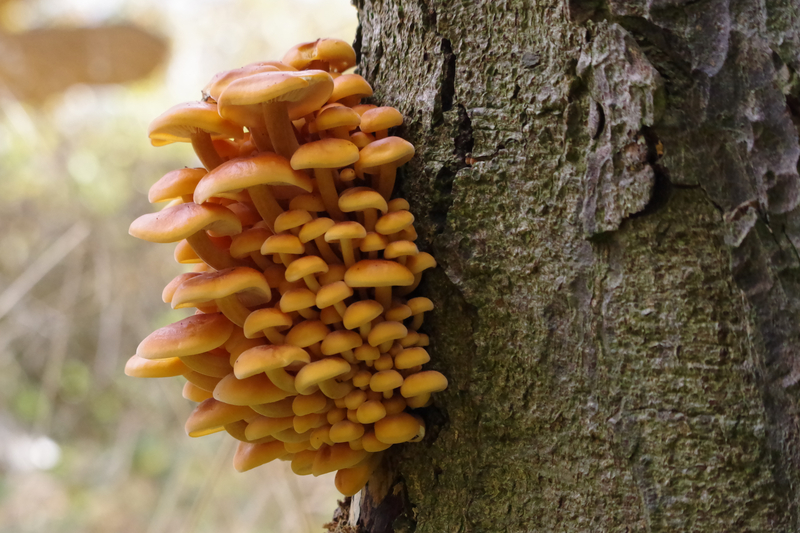 Fungi are an often underrated element of biodiversity; working away, mostly out of site, maintaining healthy ecosystems that are so important to the natural environment..
A few types of wild (uncultivated) mushrooms are edible, many taste of nothing, and others are toxic and quite often deadly. You always need to be absolutely sure which is which if you’re intending to eat one. Foraging in England and Wales is not illegal as long as what is collected is not intended for commercial use. However please remember that most of the North York Moors is privately owned and you’d need permission from the landowner to range over private land. Picking mushrooms won’t necessarily damage the fungi but the more that are picked the less chance the fungi has of reproducing. 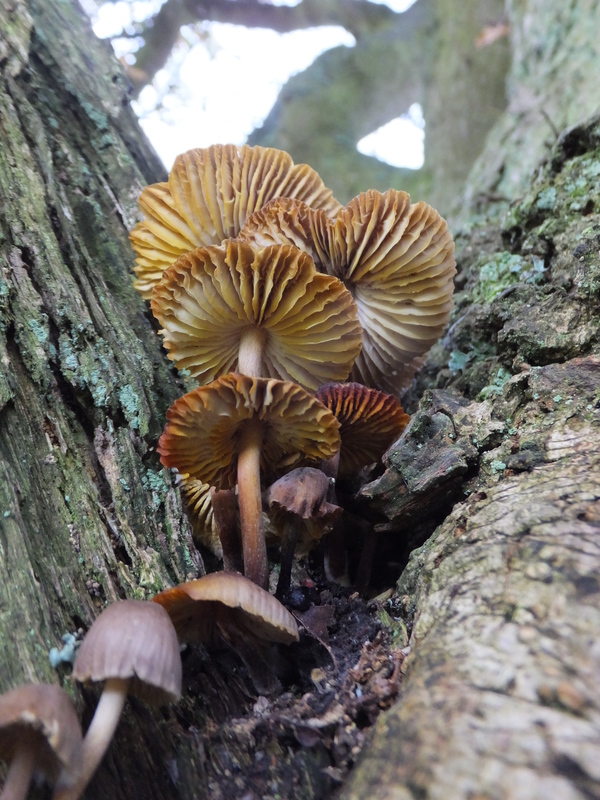 For more on fascinating fungi – have a look at The British Mycological Society and the Fungus Conservation Trust websites. Local Naturalist Societies are often great sources of local knowledge. 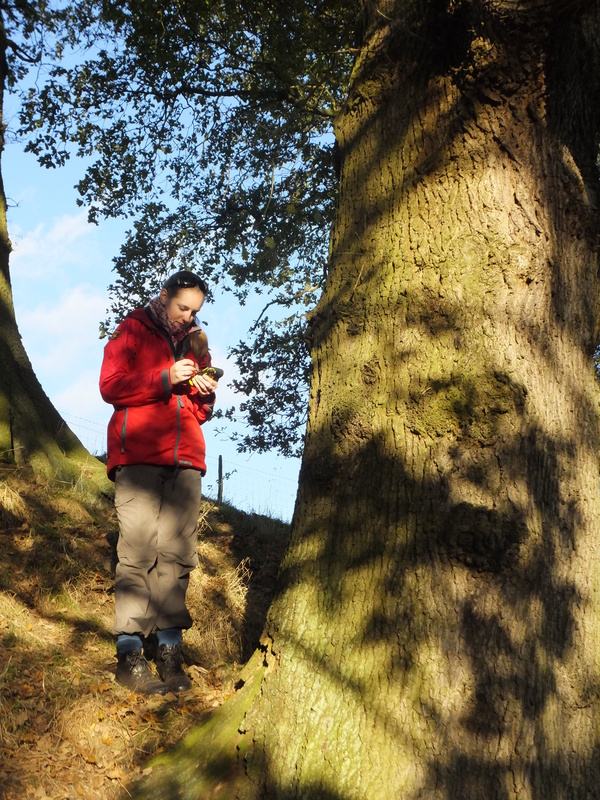 Alex (my fellow Conservation Graduate Trainee) and I have been tasked with the discovery, measurement and recording of each of the veteran trees on the Hawnby estate on the western side of the National Park. This is an area noted for its high proportion of tree cover which is a characteristic of the landscape in this part of the North York Moors. The veteranisation of a mature tree is the first indication of the tree’s truly old age and as a part of this inevitable ageing, provides visual signs that the tree has begun to approach the end of its life (hundreds of years in the case of some trees) and in the meantime provides valuable habitats through processes like the decaying of wood. Different species of trees have differing lifespans and so some tree species will reach maturity and veteran status much quicker (Silver birch for example) than those with longer life expectancy (such as Oak). 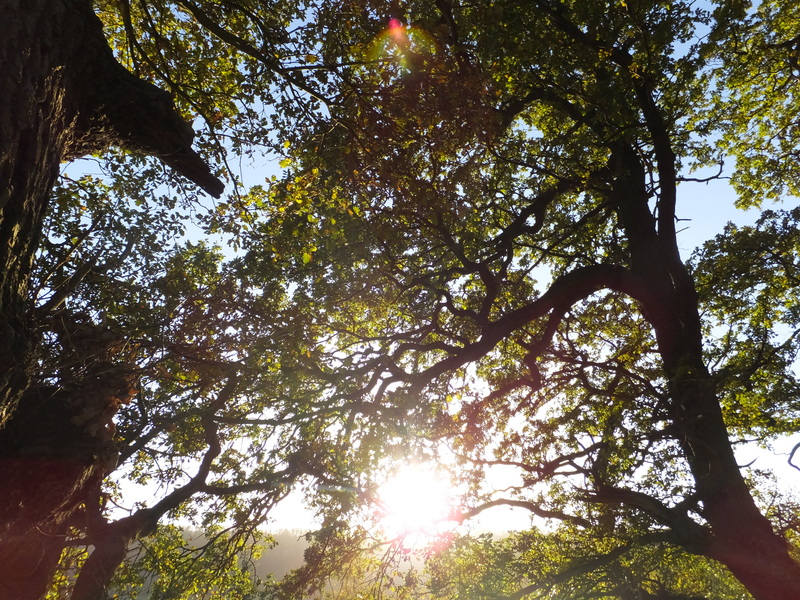 A difference in the length of time it takes trees to veteranise is inherently valuable to the biodiversity of the area’s ecology, providing habitats for those organisms that depend on a continuous cycle and creation of veteran characteristics to survive. Data recorded from the Ancient Tree Hunt suggests that there are over 102,200 Veteran and Ancient trees in Britain, giving it the highest proportion of Ancient tree cover in the whole of Europe. But there are still parts of the country that have yet to be fully surveyed for these important trees. This particular survey that Alex and I are carrying out on Hawnby estate involves identifying the species of each veteran tree and recording the tree’s girth, condition, any biological interests associated with the tree, and any threats currently posed to the tree that we might be able to address in order to ensure that it is able to endure for as long as possible. We’ve used aerial photographs, and Ordnance Survey modern and historical maps (including from over 150 years ago) to establish areas where we suspect there may still be important, notable and veteran trees that aren’t yet part of the Ancient/Veteran tree current record. We use GPS to record the location of each of the trees we record. 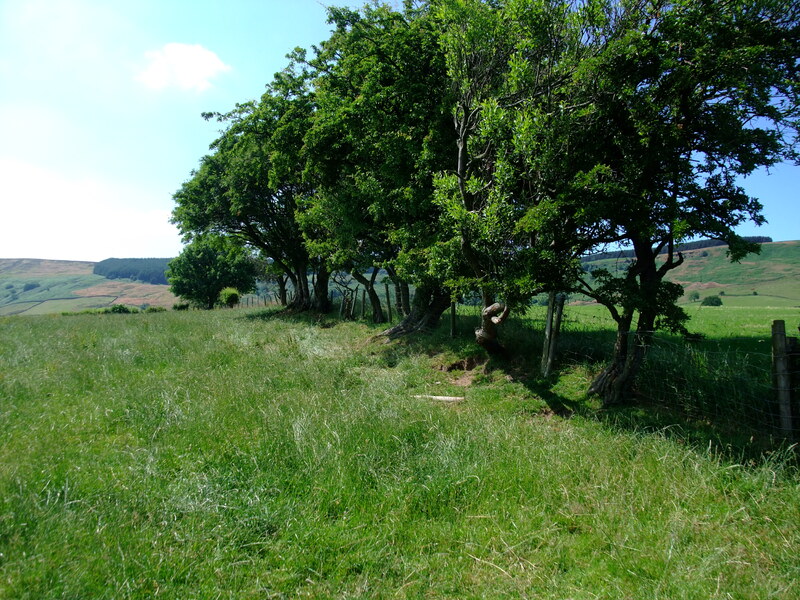 Being able to see where veteran trees are across the North York Moors and being able to compare associated data allows us to build up a picture of this asset and to target efforts to keep the trees going as long as possible and at the same time to plant and manage new generations of trees nearby. 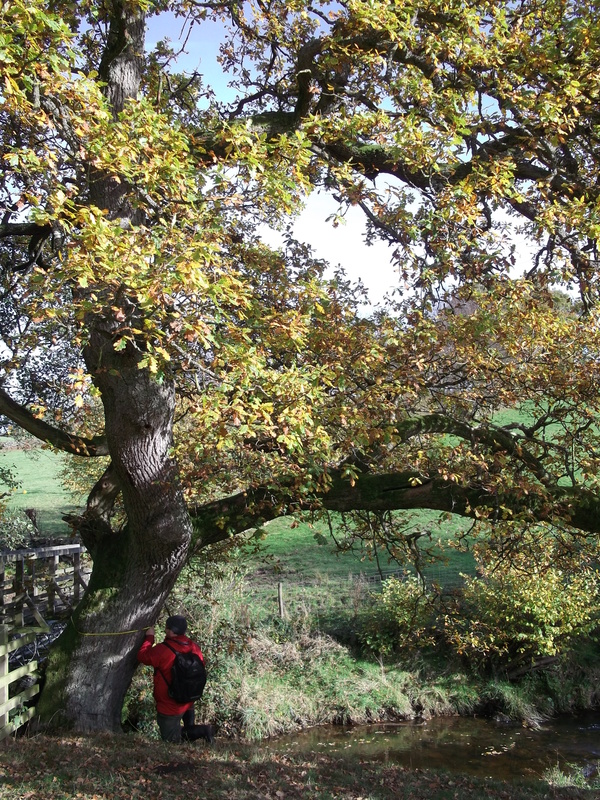 The search for veteran trees has so far proved eventful with a valuable opportunity to experience the beauty of the North York Moors National Park during autumn. We’re now up against the seasons as autumn has turned into winter and so it inevitably becomes harder to identify tree species without leaves. We also had a number of encounters with wildlife and the seasonal timing of the survey ensured that we got the chance to see many weird and wonderful species of Fungi. Something that Mark the Woodland Officer here at the National Park told me when I first began: ‘whenever you look at a veteran tree, always make sure you walk all the way around it first’. Good advice indeed as it is often very easy to assume a tree is in good health when judging it on its appearance from one side, but on further inspection the other side may reveal that the tree is entirely hollow and well into its decline phase. Because of this advice, during the survey Alex and I decided to investigate what appeared to be a dead/relic branch that was still partly attached to the trunk of a tree but had clearly been removed forcefully by a weather event some time ago. As I approached the tree and leaned round the back to peer into the hollowing stem, my gaze was met by the bright yellow and beady eyes of a Common buzzard who was probably perching in the hollow whilst on the lookout for its next meal. The few silent seconds of disbelief (probably on both accounts) were then abruptly brought to an end as the impressive Bird of Prey turned, spread its wings and silently glided away to an alternative (more private) tree nearby. 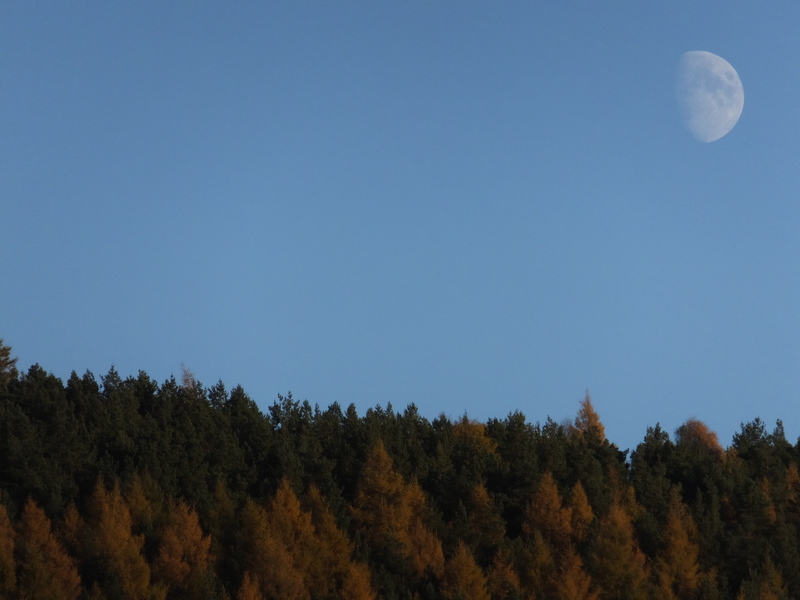 Our Linking Landscapes programme aims to connect fragmented woodland habitats and areas of high ecological value. Veteran trees (and their associated ecology) have an important role. Many of our most notable and veteran trees are visible today in fields and along dry stone walls and hedges as remnants/relics of historical field boundaries, they remain important features of complex habitat networks throughout the landscape and as part of the programme we’re planting new in-field and boundary trees to ensure that tree habitats remain even when the veteran tree itself has died. But the biodiversity value of veteran trees within our landscape is something which we cannot replace in the short term. Many species associated with the habitats provided by these trees are specialists and depend on veteran trees for their survival, either directly (beetle larvae living within, and feeding on, the freshly decaying wood) or indirectly (birds and bats regularly utilise the hollows associated with veteran trees for nesting and roosting sites). It is important that we plan ahead and attempt to provide the best opportunity for the development of future generations of old and veteran trees that we can. If you come across an Ancient/Veteran Tree – please tell the Ancient Tree Hunt. 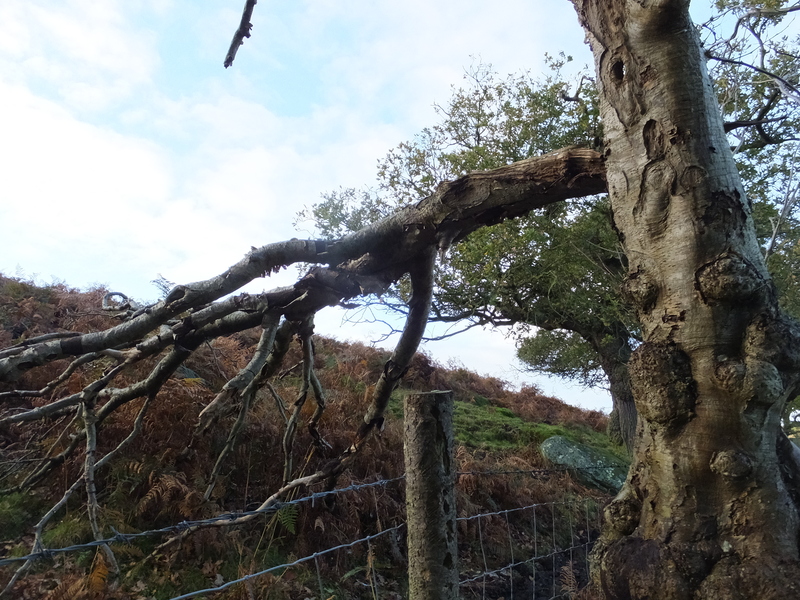 If you come across an Ancient/Veteran Tree in the North York Moors National Park – please let us know as well. Hedgerows are an important feature of the English countryside, adding to the aesthetic value and character of the landscape around us. Data collected by the Countryside Survey 2007 indicated that there was just under 250,000 miles (402,000 km) of hedgerow in England (Countryside Survey data owned by NERC – Centre for Ecology & Hydrology). Field boundary hedges in and around the North York Moors can be of considerable wildlife value and are a living historic record of demarcation. The number, variation and type of plant species in a hedgerow can point towards its age, and some hedges are remnants of ancient woodlands. Rare plants may thrive in and around the footings and ditches. 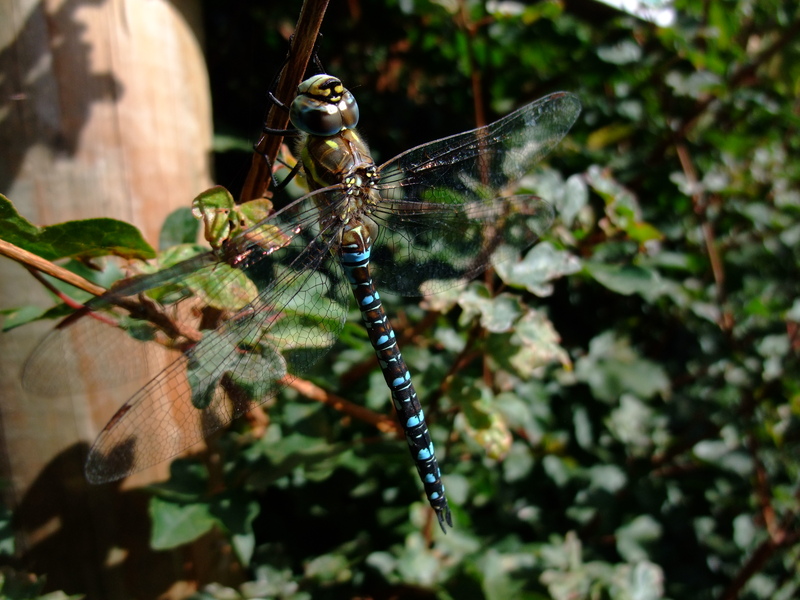 Hedges support a wealth of wildlife as they provide food, shelter and nectar. Pollinators such as honey and bumble bees take full advantage of the early spring flowers of blackthorn and late-season ivy flowers. A plethora of invertebrates live within hedges, seeking out the nooks and crannies, leaves, fruit and soil. Voles, shrews and rabbits create their tunnels in a maze beneath the roots, using the thick hedge to hide from predators as they search for food. Larger mammals such as badgers and foxes also frequently live in and around hedgerows, making use of the food supply and shelter. Bats are known to use these linear features as food sources or as a commuting highway to get between the roost and feeding grounds, choosing the more sheltered side in strong winds. Birds of prey such as kestrels and owls may use the hedgerow trees as look-out posts and resting spots whilst they digest their prey. Many other species of bird use hedges throughout the year for shelter, nesting and roosting sites. Mycorrhizal fungi are associated with hedgerows and boundary trees. Mycorrhizae are found between plant roots and the soil, helping plants gather the moisture and nutrients (such as phosphorus) that they need in exchange for carbohydrates and sugars in a mutualistic relationship. Root diseases also appear to be reduced in presence of mycorrhizae. The mycorrhizae and fungi effectively extend the root system, and it has been said that a single oak tree might have up to 19 km of mycelium associated with it! Cultivation and the application of fertilisers can supress and disrupt this beneficial underground network. For more information – the BBC recently produced an article on these connections, describing how plants can even communicate aphid attacks. Hedges criss-cross the landscape and form important habitat connections for wildlife, allowing greater freedom of movement between different habitat ‘islands’. 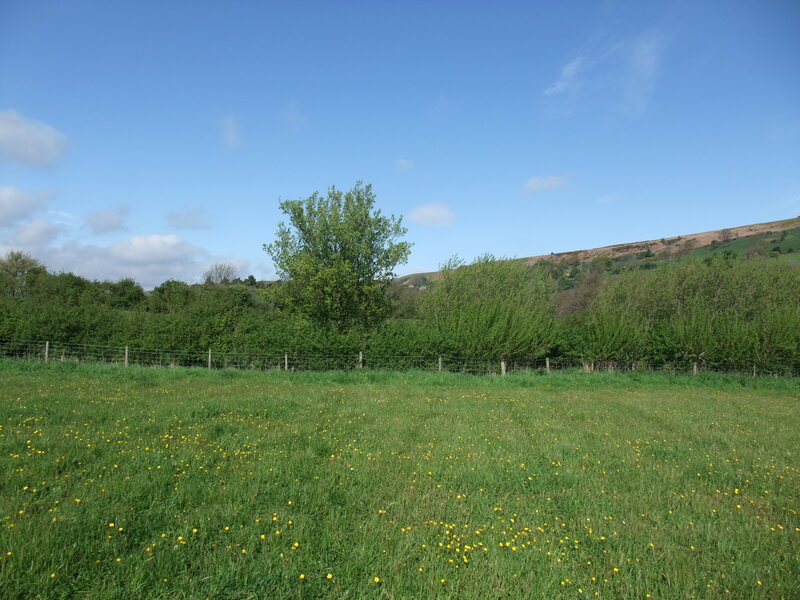 Our Connectivity programme looks to develop these habitat connections, and other organisations have similar projects such as the Wildlife Trusts’ Living Landscapes. These efforts stem from the Government’s Natural Environment White Paper. Sign up to follow this blog and receive notifications of new posts by email. 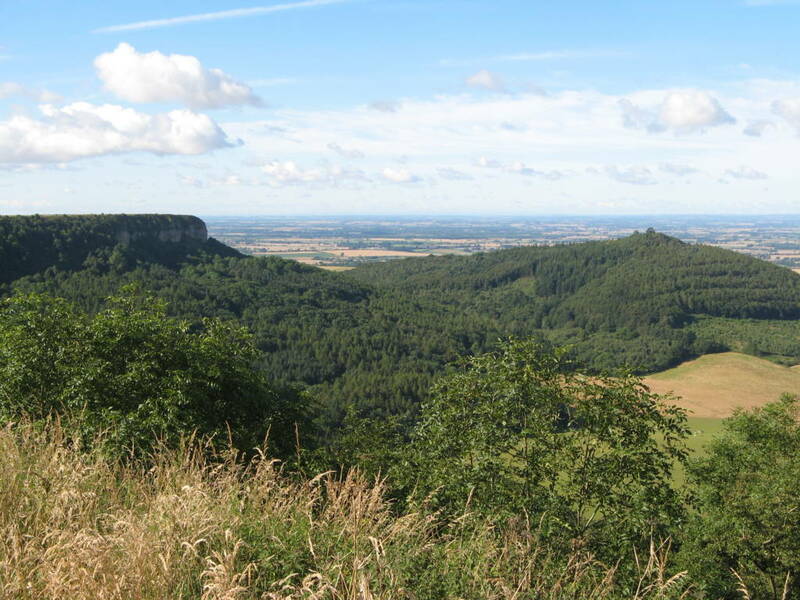 Located just to the north of York and surprisingly close to Teesside, the North York Moors National Park is a beautiful landscape of stunning heather moors, spectacular coast, ancient woodland, distinctive dales, dark skies and historic sites. 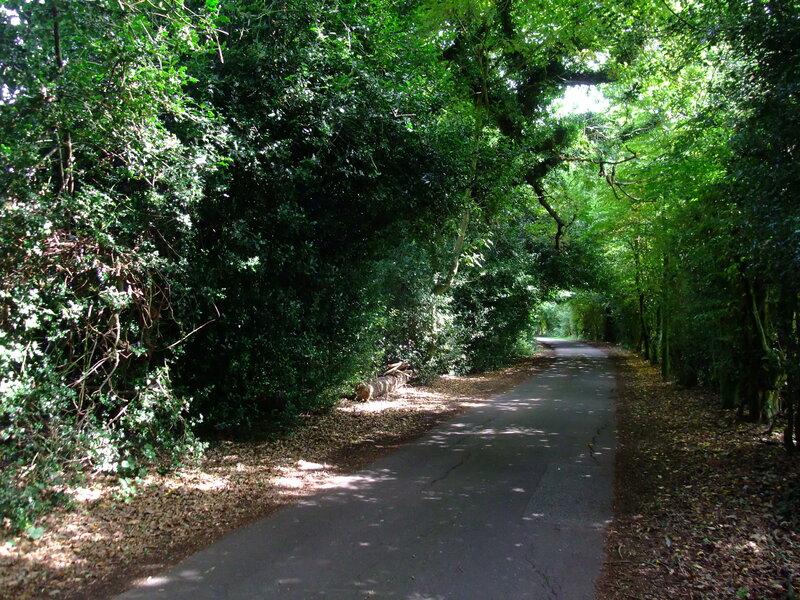 It's a great place for cycling and walking with miles of paths and tracks for you to explore. Go to www.northyorkmoors.org.uk for more information about the National Park.